The box is nice and bright, decorated with the month’s theme. It fits through the mailbox too, which is very convenient. On the other side it tells you a little bit about what’s inside. The box is easy to open with a tear-off strip. 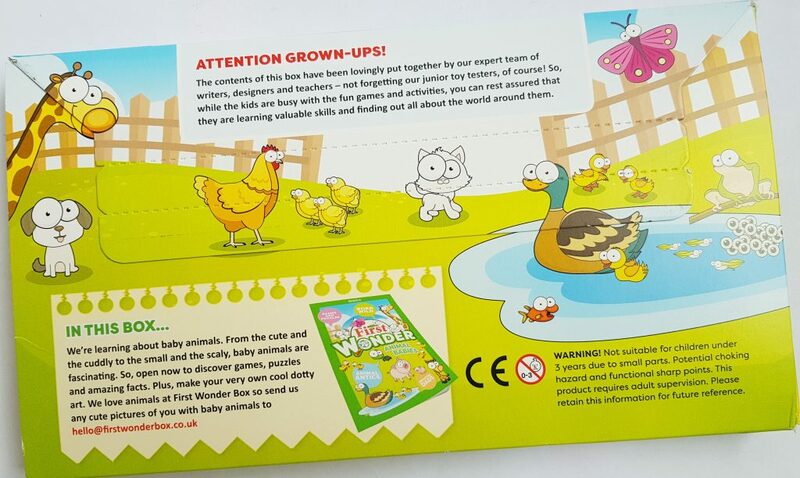 The activity booklet has a great variety of things inside. Lots of information, without being too complicated for little people to absorb. 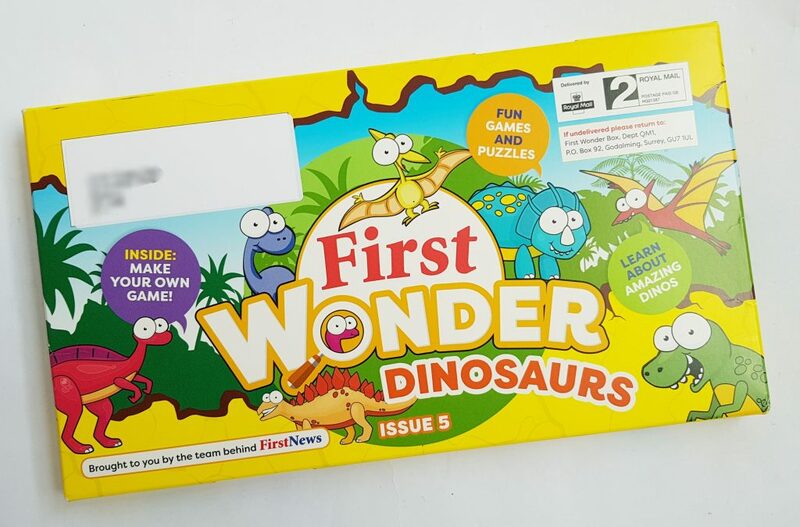 There are also puzzles and quizzes to test your knowledge. It’s all very well laid out, and very engaging. 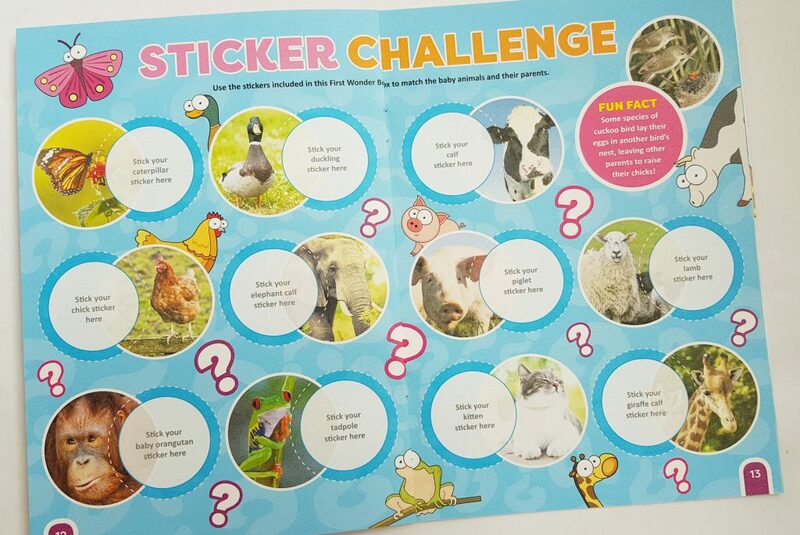 There is a sheet of stickers for the activity above. 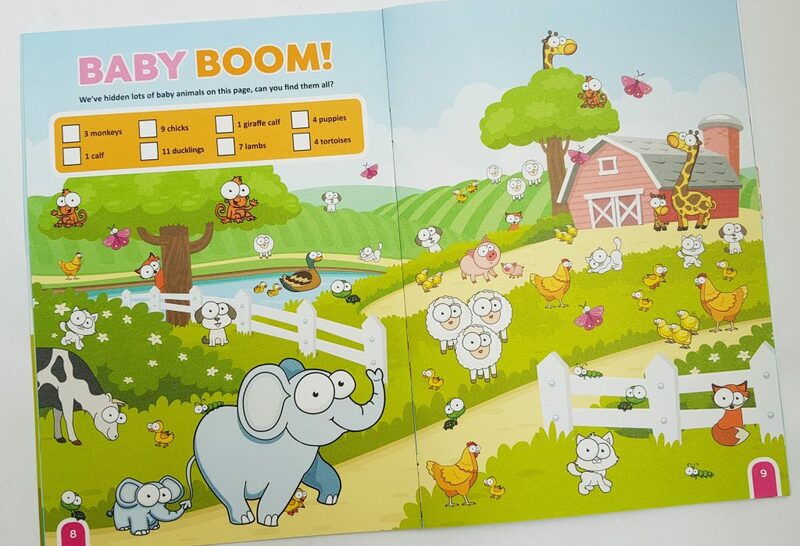 Each box includes two trivia cards, which slot into a album you receive with your first book. 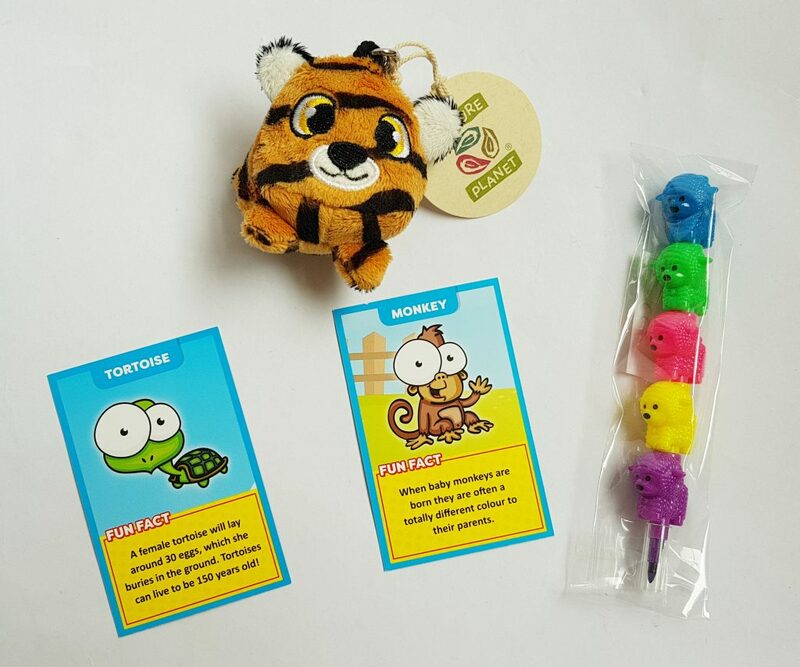 There is also a multicoloured stacking animal pen, and a cute baby tiger keychain! Even the box is used! 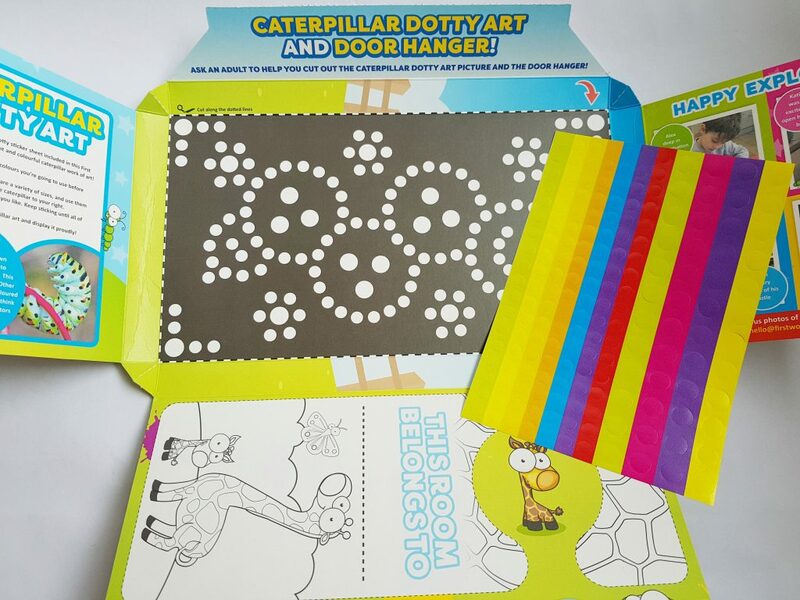 There’s a dotty art picture to complete with more stickers, and a design your own door hanger. The coloured crayons will be useful for that! 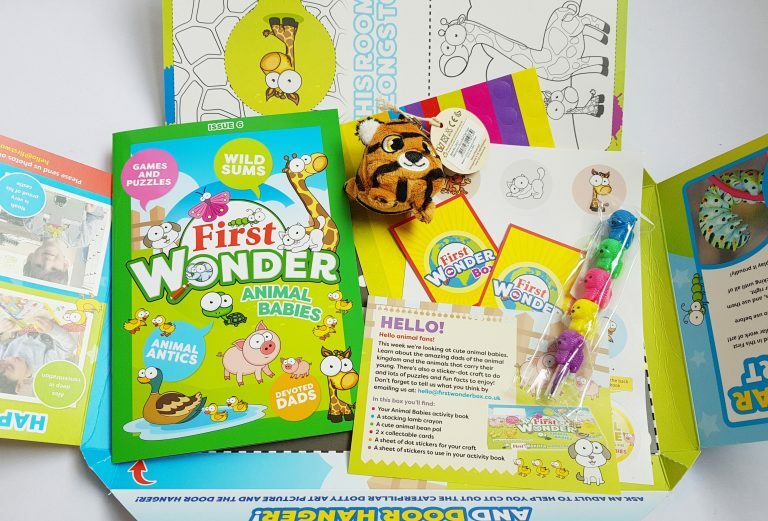 First Wonder always supplies a very enjoyable selection of things to learn and do. 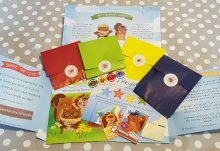 The crayon is fun and very useful, and the cards are a great addition to the collection. I like the idea of having a little extra treat (the keychain). The activity booklet is always impressive. There’s so much to do in there, it’s very well laid out, and there’s plenty to learn. My daughter always enjoys going through it! This box is definitely something to enjoy over a period of time. 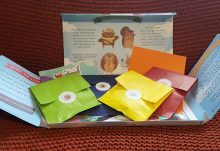 You can dip in and out of the booklet, do a craft, and play games. 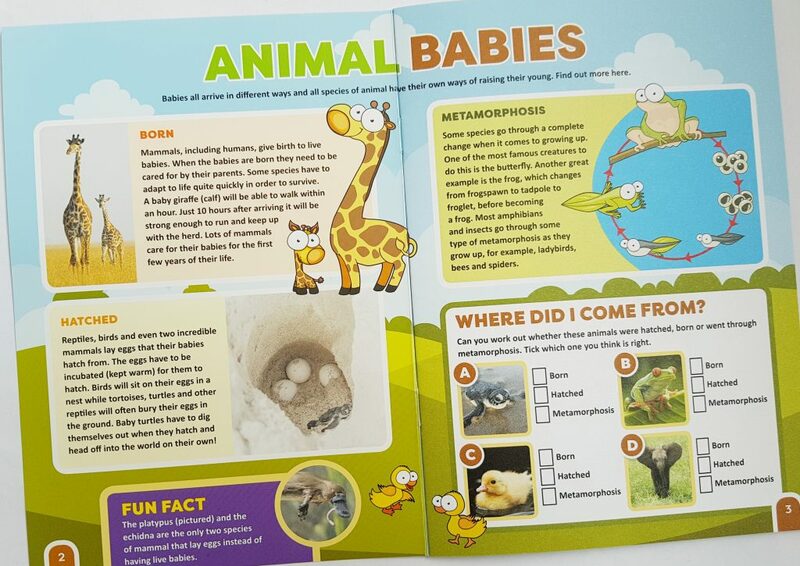 This is a great subject to appeal to children, as baby animals are always cute! 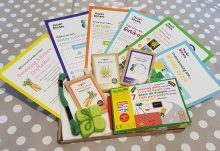 This is extremely good value at £7.95, you get plenty to do, things to keep, and lots to learn in a fun way!